The grocery store is the same for everybody. No matter why you’re there, you walk through produce laid out on tables, down aisles of frozen pizzas and waffles or by a case of chilled dairy. Grocery stores cannot adapt themselves to each customer—they need to stock their shelves to address a wide range of needs, from big families to single adults, granola-eaters to dessert lovers. Your online course catalog doesn’t need to be like a brick and mortar grocery store. It can be custom tailored to your needs. What if one day you walked into the grocery store and were able to have it laid out exactly how you wanted it? Imagine, removing aisles of gluten-free products and diet-friendly alternatives. You could shrink the produce section and have more options laid out for convenience foods and carbonated beverages. Those without children, don’t need to see formula. Imagine a grocery store that features the things you buy, items that go with the things you buy, and nothing else to distract you. How would that improve your shopping experience? How much faster would it be? How much more efficient and less headache-inducing? In an LMS catalog, we can create that kind of individualized experience. We evaluate which content was previously accessed by a learner and what content was used by similar people. Items in which a learner is likely to be interested in can be pushed to the front. 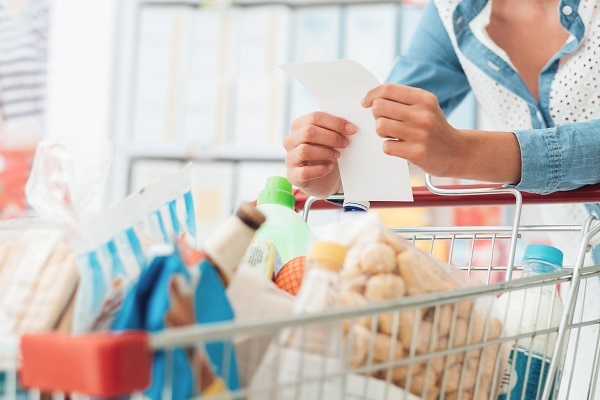 Like a shiny end-cap at your grocery store, new and featured content can be highlighted, ensuring that learners don’t miss the latest and greatest offerings. Content that “goes with” things you’ve already accessed can sit next to it on your virtual shelf–think dip next to chips, peanut butter next to jelly. One benefit of the virtual world is the ability to adapt the experience for each person. Without the constraints of space, and by tracking users’ data and making complex correlations between user behaviors, online catalogs can be infinitely customized. Just as the health food lover’s imaginary grocery store has an extra-large section for bulk bins, a nurse’s catalog might feature compliance training and PDUs relevant to her career. My grocery store might learn that I always buy Nutella, and put it front and center, and my training catalog might similarly learn that I can’t pass up a writing course, and assures that I see those first. It isn’t just the learner who benefits when a catalog is personalized. When relevant content is easier to find, learners are more likely to go down the correct training path (a boon to the employer) and take additional courses that benefit their company and boost their performance. Beyond that, there are sales considerations – customization allows content providers to ensure the most relevant, popular, or latest content is featured, increasing the likelihood that a learner will buy it. Like a grocery store issuing a “frequent buyer” card to analyze your purchases and offer you custom coupons, training providers can use the LMS to evaluate their customers’ training patterns and know what to offer them next for the highest chance of success. As providers of technical solutions, making our users’ lives easier is among our most important jobs. AI -or machine learning, enables our software to customize the user experience. Using the data already captured by the LMS to tailor the training catalog experience for each user is an elegant, efficient way to do that. With a properly implemented content recommendation system, learners have a comfortable, easy path through their virtual “store.” If only grocery shopping were so simple.